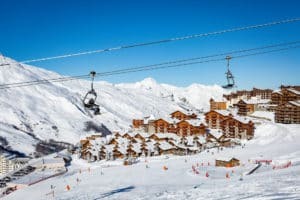 The Paradiski area offers some of the most diverse skiing in France combining wide, sunny blue pistes, beautiful tree-lined runs and more technical glacier skiing. 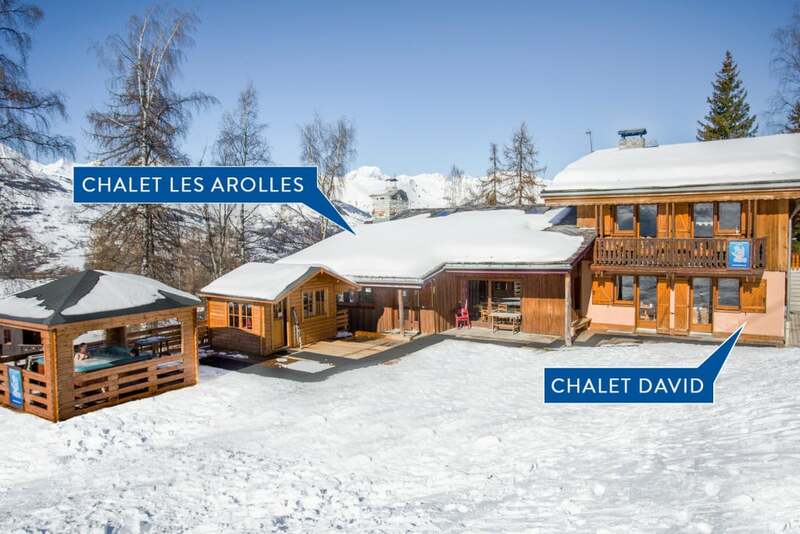 Our chalets in Les Coches are at the heart of the area, lying just one lift from the Vanoise Express, the world’s largest cable car, which links the two sides of the Paradiski, La Plagne and Les Arcs. 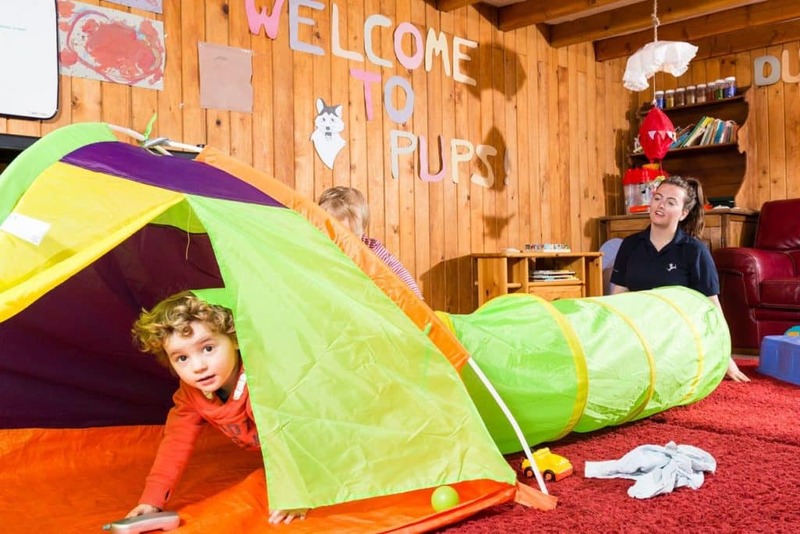 The creche is a separate facility next door and is a pleasant well-equipped and bright. 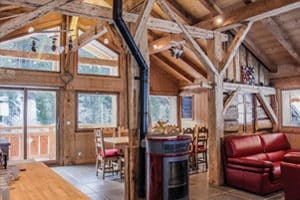 only 30m skiing from the door to a modern fast 6 man lift and ski back onto the large sunny terrace at the end of the day – only 100m from the village and yet the sunny terrace looking onto the woods provides a beautiful natural setting. Our guests keep telling us they can’t believe how good the location is. through the Vanoise Express (pictured). 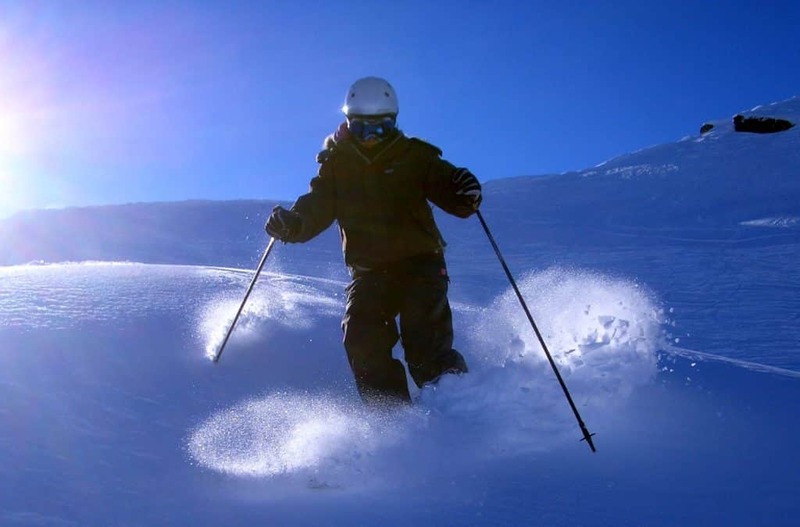 Varied and interesting skiing with plenty of trees and great on and off-piste opportunities. 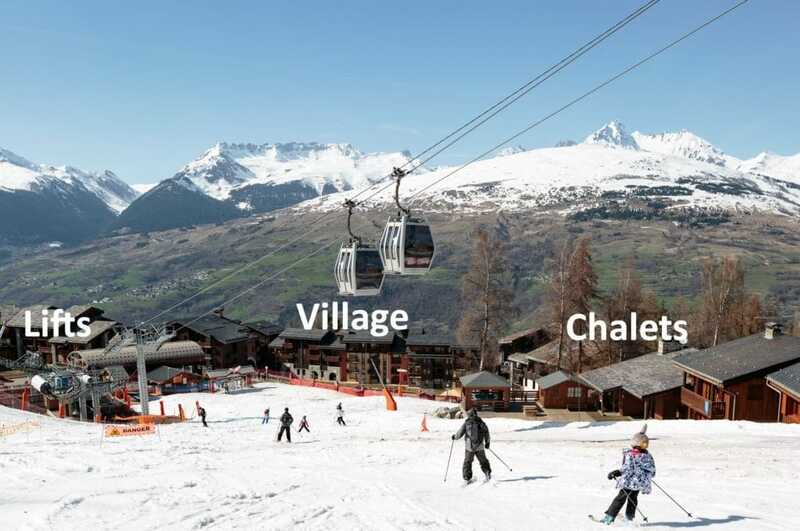 the six-man chair outside the chalet is the only lift you need to catch the 4 minute Vanoise Express to Les Arcs (200 km of pistes) or continue in La Plagne (225 km) – the choice is yours. a safe and pleasant place to wander with children. often with free street entertainment for children in the evenings. 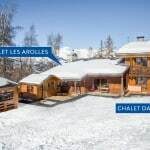 and the home run to the chalet is kept open to the end of the season as a priority piste with snow cannon help if necessary. in the bubble also outside the chalet next to the 6-man chair. The very best piste-side location anywhere in Paradiski: only 30m skiing from the door to a modern fast 6 man lift and ski back onto the large sunny terrace at the end of the day – only 100m from the village and yet the sunny terrace looking onto the woods provides a beautiful natural setting. Our guests keep telling us they can’t believe how good the location is. 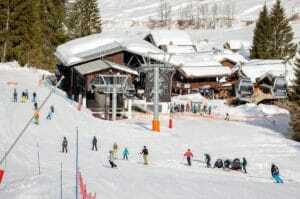 Very extensive 425 km ski area combining La Plagne and Les Arcs through the Vanoise Express (pictured). 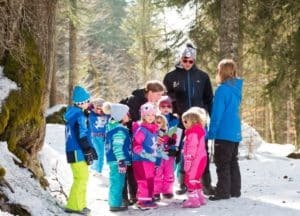 Varied and interesting skiing with plenty of trees and great on and off-piste opportunities. 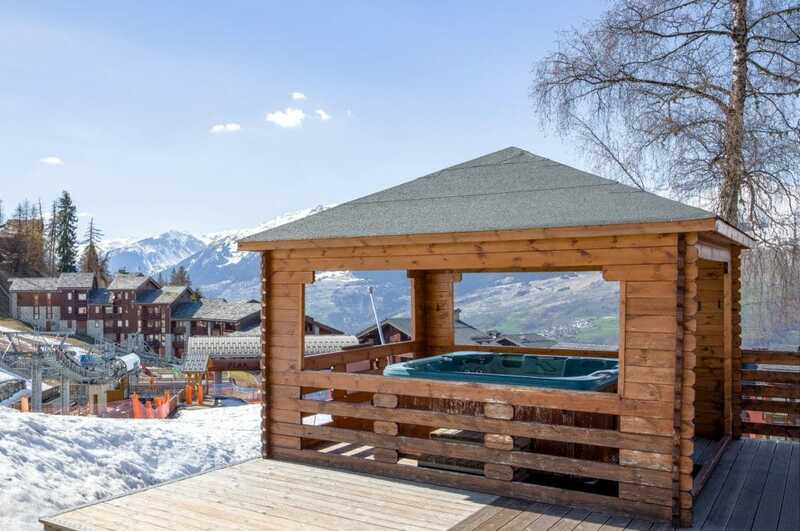 Les Coches is at the heart of Paradiski – the six-man chair outside the chalet is the only lift you need to catch the 4 minute Vanoise Express to Les Arcs (200 km of pistes) or continue in La Plagne (225 km) – the choice is yours. Les Coches is a small car-free village with several bars and restaurants – a safe and pleasant place to wander with children. Child focused resort often with free street entertainment for children in the evenings. 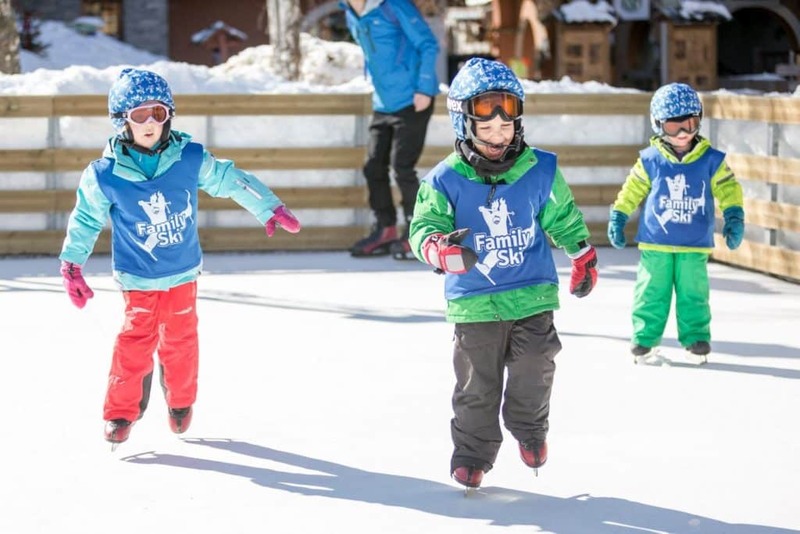 Children taken effortlessly to and from ski school in the bubble also outside the chalet next to the 6-man chair. 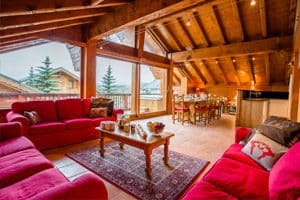 Les Coches at 1,450m is a small, modern village with a friendly atmosphere and our ski chalets probably have the best ski-in ski-out location you will ever find for a ski holiday with children – at the bottom of the piste into Les Coches, within 30 metres of the Plan Bois chair lift. 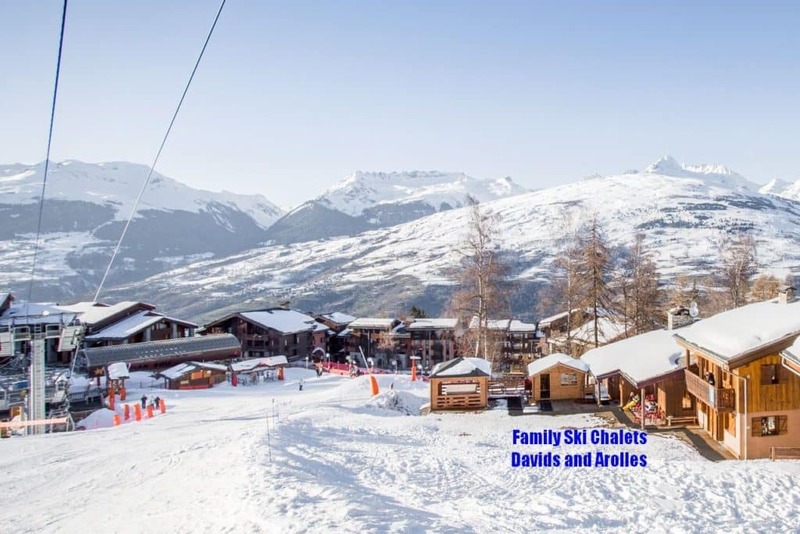 The gondola which starts from the same place is perfect for young children skiing to reach the Ski School Jardin area. 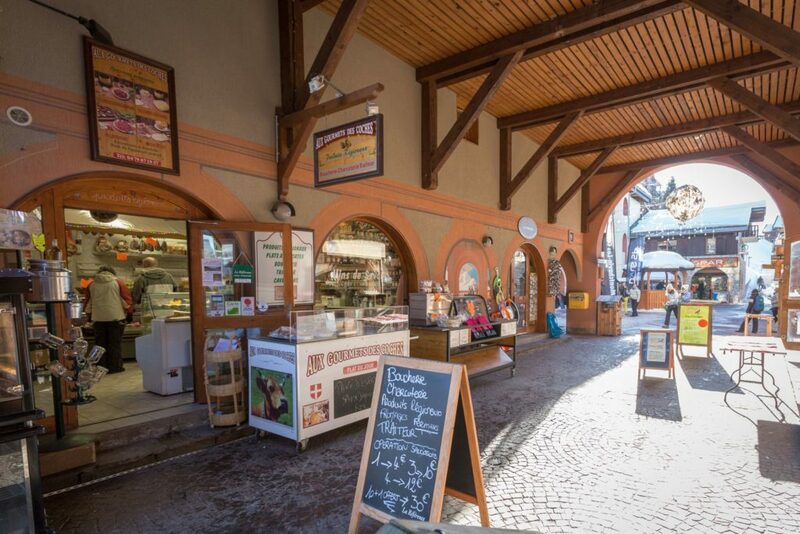 The traffic-free village has a variety of shops, including local speciality shops, a small supermarket, ‘The Last One’ bar run by the ever hospitable Phil and several restaurants, as well as one nightclub. 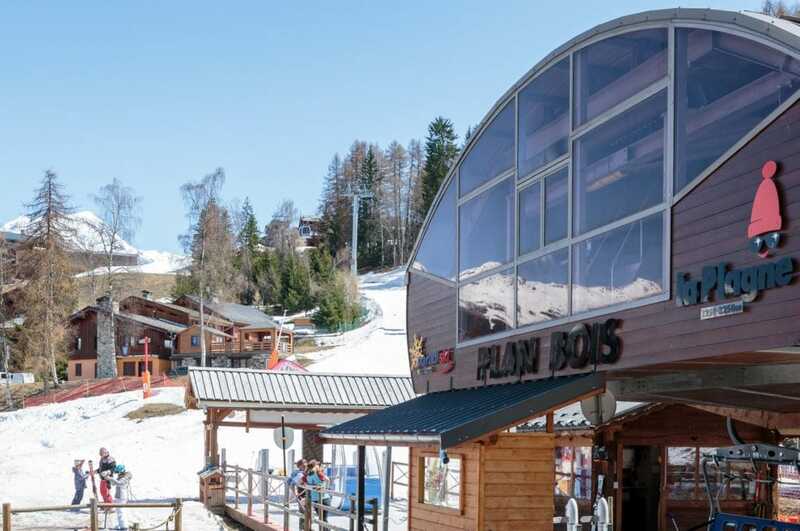 The Montchavin/Les Coches area has many pretty wooded slopes as well as sunny open runs at the top of the Dos Rond just three lifts above the chalet. The local area is north-facing and holds its snow well until late in the season. 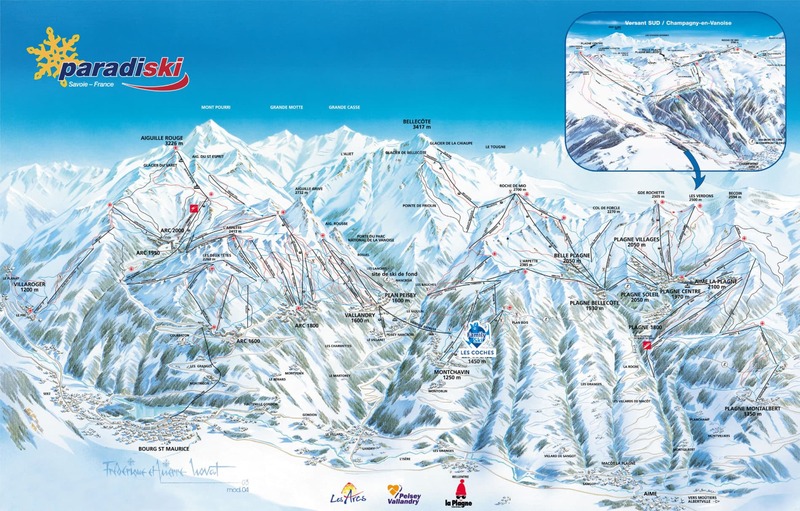 Paradiski is a huge ski area with 425km of marked pistes, two glaciers with the highest lift topping 3,250m. 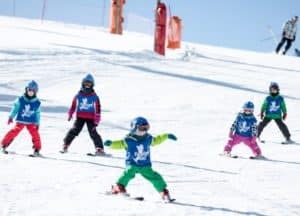 The area has something for everyone from tree runs, open pistes, snowparks and technical pistes down both the Bellecote and Aiguille Rouge glaciers – an excellent ski holiday choice for families skiing with children. 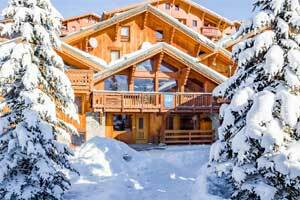 Off-piste enthusiasts can hire a guide for the stunning ‘Col de Nant’ descent from the back of the Bellecote glacier in La Plagne through 2,000 vertical metres down to Champagny village. There are also great views from the peak of Roche de Mio (2700m), which is a great starting point for runs down to the main Plagne centre, Plagne Bellecote, Belle Plagne, Plagne Soleil, Plagne Villages and Aime 2000. 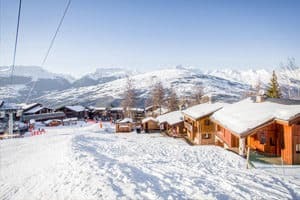 Alternatively, take the Vanoise Express for a breathtaking four-minute ride across the Ponthurin valley to Les Arcs where cruisy blue and red runs through the trees await you in the Peisey Vallandry ski area. The 7km run from the top of Les Arcs’ glacier and the area’s highest point, the Aguille Rouge, is not to be missed. 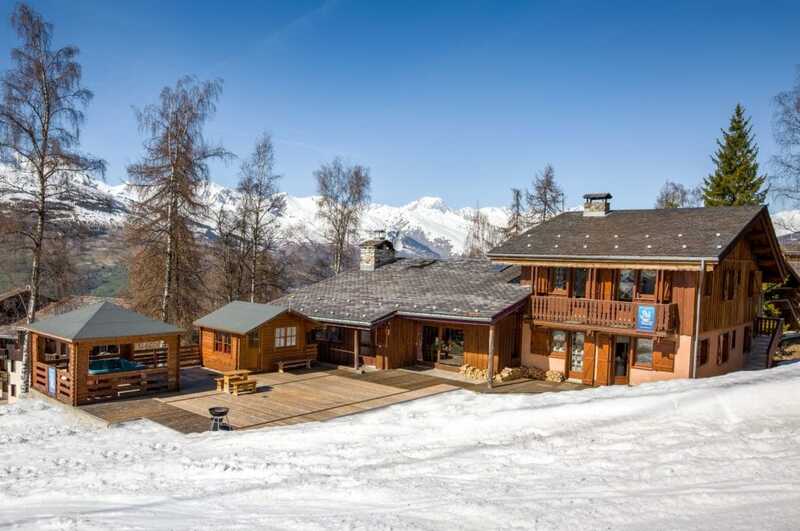 Enjoy the wonderful 360 degree panorama with views across to Mont Blanc and into Italy and then head down to the village of Villaroger 7km lower down the mountain. 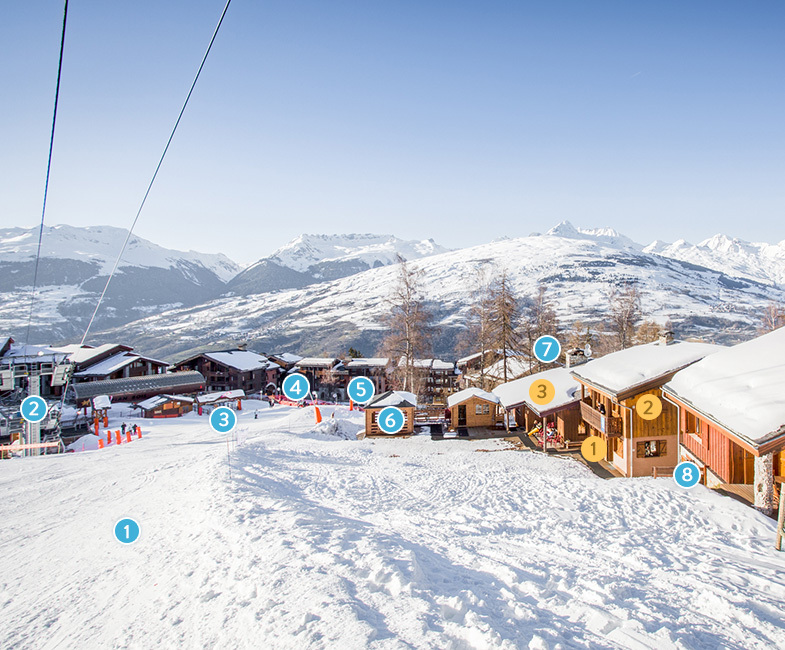 Les Arcs is also home to the famous flying kilometer – speed piste where racers reach speeds of up to 250km/h. 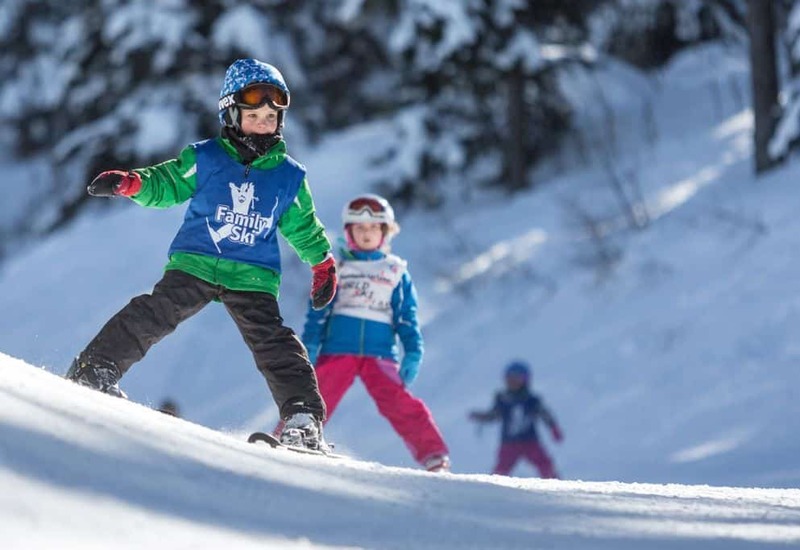 For freestyle skiers and boarders Paradiski has two fantastic parks with kickers, rails and boxes for all levels. The glacier de la Chiaupe, on the slopes of Bellecôte, above la Plagne.